May 7, 2014 | by Victoria Anderson, M.Ed. Students will use Toobeez to grow a “rhyming tree” and label the rhyme scheme of a poem. 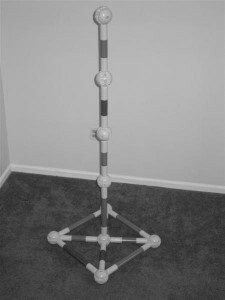 Assemble four “tree trunks” of Toobeez with the number of balls equal to the lines of poetry (refer to photos). Have the remaining Toobeez available and ready to use to make the branches. Be sure to review these tips prior to beginning the activity, and if necessary, share reminders with the group during the activity. 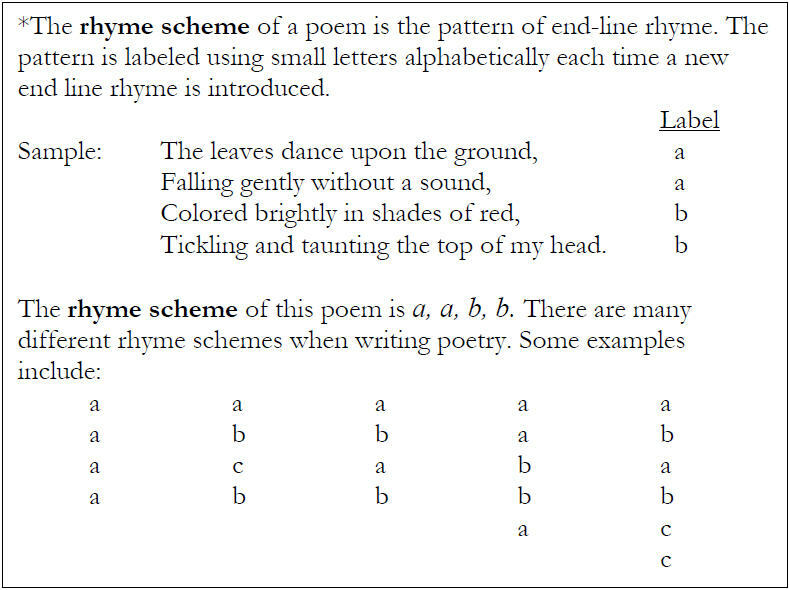 2. Review the term “rhyme scheme” with the group before continuing. *The rhyme scheme of a poem is the pattern of end-line rhyme. The pattern is labeled using small letters alphabetically each time a new end line rhyme is introduced. Challenge: Students will use Toobeez to grow a “rhyming tree” and label the rhyme scheme of a poem. 5. Lead the class in labeling the rhyme scheme of the poem (aaba bbcb ccdc dddd). 6. The four Toobeez tree trunks each represent one stanza in this poem. 7. Assign a tube color to each rhyme sound found in the rhyme scheme. For example, red tubes can symbolize “a” end-line rhyme and blue tubes can symbolize “b” end-line rhyme. Attach the appropriate colored Toobeez “branch” to the tree trunk to label each line in the poem. 8. A Toobeez branch will now be added for each line of poetry to represent the rhyme scheme. Have a few volunteers attach the appropriate colored tubes to each Toobeez ball on the tree trunk to symbolize the rhyme pattern of the sample poem. 9. 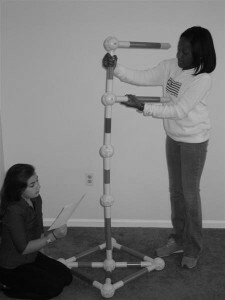 Break students into three or four smaller groups, and provide each group with Toobeez balls, tubes and a tree trunk. Hand out samples of the quatrain poems to each group and have them “grow” their own rhyming trees for their poem using the Toobeez colored tubes. A quatrain is a four-line rhyming poem. 10. When a group is finished with one poem, have them switch poems with another group. Repeat this step as time permits. 11. Circle up the group again. Share the different patterns each group found within the poems. Each Toobeez ball in the tree trunk represents one line of poetry. Have students attach one colored Toobeez for each end line rhyme sound. To close the lesson, end with a group discussion about what was learned during the activity. Circle up the group, and work through the following questions. If possible, record the group’s responses on flip chart paper so all comments are displayed. What role does rhyme scheme play in traditional forms of poetry? How do you think poets choose a rhyme scheme for a poem? What do you think is difficult about writing a poem with a set rhyme scheme? How did using the Toobeez help you to see the rhyme scheme of each poem? How do you feel you communicated during this activity? 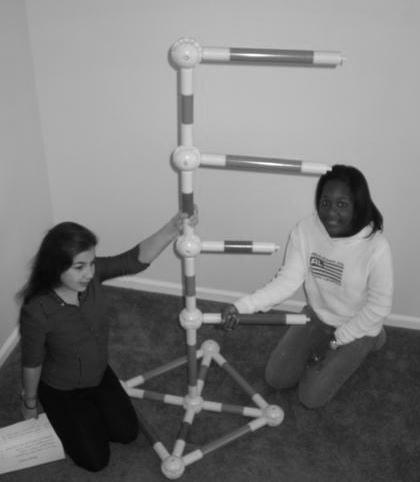 Why is it important to work as a team when working in small groups? 1. Follow-up/W riting rhyming poems. Author of the Toobeez Language Arts Activity Workbook and Independent Writing Consultant. Anderson Editorial Services is a company dedicated to providing writing services for creative, informational and educational writing. Whether developing, editing, formatting or proofreading, Anderson Editorial is committed to producing the highest quality of writing. All Activities of Victoria Anderson, M.Ed.